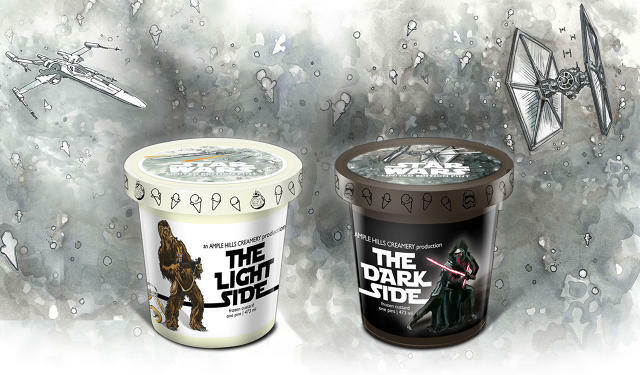 You've seen your fair share of Star Wars branded products so far this year, right? That has always been part of the overall strategy of the franchise, and don't go getting all nostalgic saying that the original movies did do all this branding stuff, because you would be wrong. They practically invented the licensing of movie characters to appear on your orange juice. But this story is one of the mega-franchise helping out the little guy. Ample Hills, an ice cream show with just three locations, has landed the license to produce official Star Wars ice cream, and it is all due to a chance friendship built between the Shop's owner and Disney CEO Bob Iger over nothing other than their ice cream. Check out the whole story from Fast Co.